Unfortunately there are not that many unique Jewish toys to play with. So after I made a Mr. Potato Head out of felt a friend of mine suggested making a Mr. Matzah Man (it was around Passover time). Brilliant! The next day I had to make one. Here is Mr. Matzah Man (or Mrs. Matzah)! 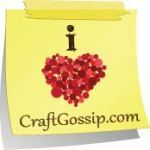 Hi Sandy, So great to see you at Craft Schooling Sunday! I'll be happy to share Mr Matzo man with my readers as a featured craft next week, and hope to see you again too! All the best! I always start Sunday with a visit to Creative Jewish Mom -- and imagine my delight when I found your stuffed Matzo Mensch at her site! Later today I plan to explore your blog. Meanwhile, thanks for the fabulous idea!! Hi! You've got a great blog here and I love this idea. I host a toddler link up party every tuesday called Tot Tuesdays. Would love it if you'd stop by and link up this idea along with the many other great ideas you have for toddlers. Have a great day! Adorable! Thanks for linking up to Mad Skills Monday! 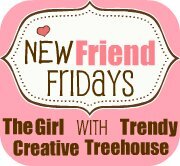 I discover your blog today, through TCTC, and I was looking around and like it very much! I was intrigue with this post, would you please explain to me what is a Mr. Matzah Man (or woman)? I'm portuguese so, I think it's a cultural thing that I cannot get it!